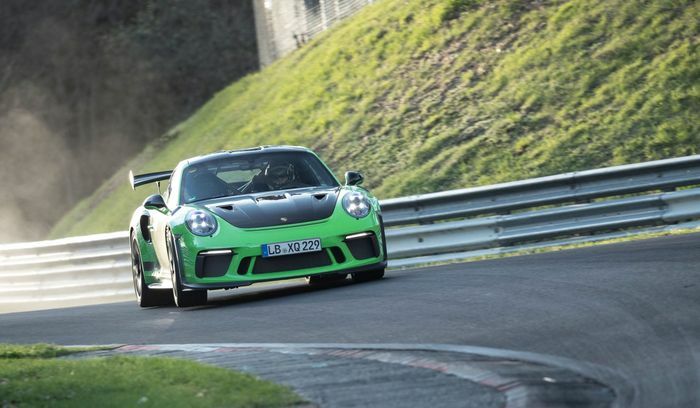 You know that extraordinarily impressive 06:56.4 lap time Porsche set at the Nurburgring Nordschleife with the 911 GT3 RS recently? It turns out it was - in part - made possible by Chevrolet. Speaking at the press launch of the car on Wednesday, Porsche GT boss Andreas Preuninger expressed gratitude to the GM-owned brand, which graciously allowed a pair of updated RS machines onto the Nordschleife - piloted by works drivers Kévin Estre and Lars Kern - despite having the demanding circuit booked at the time to test the Corvette ZR1. “They gave us an hour on track. We let them watch and it was quite a nice atmosphere among competitors,” Preuninger said. The thing is, Porsche didn’t even need an hour. The first time set was under the seven-minute mark, and that 6min 56sec effort by Estre was clocked on only the fourth timed lap. After that, the team called it quits. “After half an hour we were off the track again and very happy,” Preuninger concluded. The day didn’t go quite so well for Chevrolet, unfortunately. While the company itself is yet to release a lap time, the Corvette ZR1 was clocked by observers lapping at around seven minutes and 13 seconds. 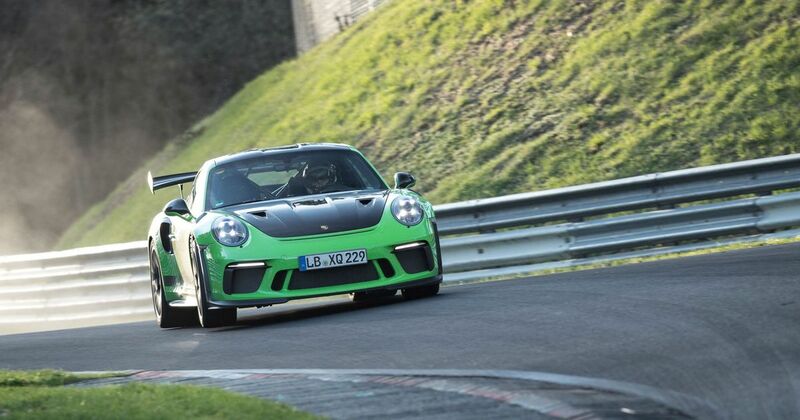 Given that unofficial timing for the GT3 RS turned out to be very close to the real figures, the ~07:13 seems a fair representation of what the ZR1 managed on the Green Hell. We can’t believe this is all that the car is capable of though, particularly given that the ‘lesser’ Z06 managed a similar time last year. We may never find out the reason for the slightly disappointing time (and yes, we know it’s ridiculous that a time in the low sevens is now described thusly), but what we do know is Chevy deserves a nod of respect for this commendable display of sportsmanship with Porsche.